01.04.2017 - DAY REVIEW: The last pieces of the jigsaw puzzle in the Men’s EHF Cup Group Phase were laid on Saturday night. 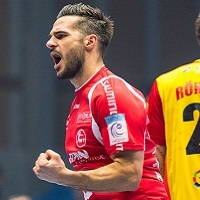 25.03.2017 - DAY REVIEW: SC Magdeburg are the only team completely sure to reach the quarter-finals after Saturday’s Men’s EHF Cup matches. 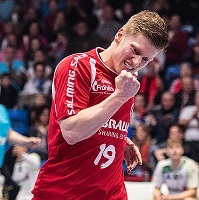 11.03.2017 - DAY REVIEW: MT Melsungen avenged their defeat against Anaitasuna last weekend with a clear home win, while Grundfos Tatabanya took their second successive victory against KIF Kolding Kobenhavn in the Men’s EHF Cup on Saturday. 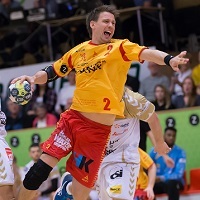 07.03.2017 - ROUND PREVIEW: All teams in the various groups of the Men’s EHF Cup Group Phase have met each other once, and now prepare for the second-leg clashes with the first match of the week on Wednesday.